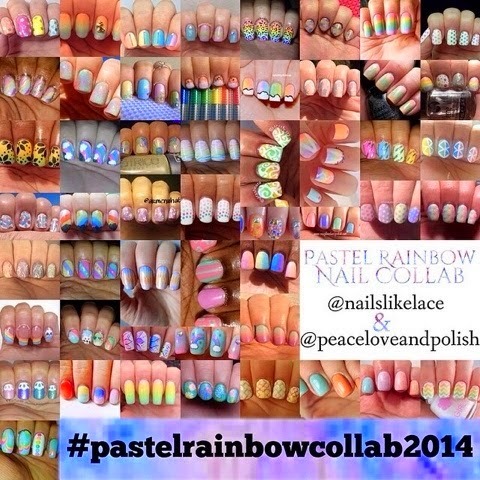 What seems like a century ago - ya know, in April - since Heather and I arranged our last Instagram nail collab. The theme this time around was pastel rainbows. For my collab mani, I decided to do some semi-pastel skittles with silver holo flower glitters.